If you are struggling with debt or you live paycheck to paycheck, you probably find dealing with money fairly stressful. Sometimes, when we find things stressful, we avoid them. We avoid looking at our bank statements, we avoid looking at our credit reports, and we avoid looking at our credit card statement. This is more common than most people realize, and sometimes it’s not affecting a big enough chunk of money that you won't even notice it's happening unless you’re scanning your credit card statements. It does happen. People do use credit cards that don’t belong to them. They do charge things to them, like pizzas or taxi rides. Small amounts that wouldn’t raise any alarm bells for you unless you’re really looking at your statements. The thing is, you never know when that person has bigger plans to use your identity elsewhere, so nipping it in the bud while it’s still manageable is key. You can’t do that if you’re not looking closely, though. It’s common knowledge that big corporations can make mistakes just as easily as human beings, and credit card companies are no exception. Maybe they marked a payment as late when it clearly shows on your bank statement it was on time. Maybe a charge went through that you had cancelled. Whatever the case is, you’re not going to catch it unless you’re looking. It’s hard to ignore your spending habits when they’re listed in black and white, right in front of your face. You’ll take notice of how much debt you’re accumulating each month, making it much easier to really have it sink in that you may need to curb your spending. While poring over your statements, a picture may become clear of areas that you can cut down spending in. Maybe you buy a fancy coffee drink every morning and $3 doesn’t seem like much… until you see $3 every day on your statement. You won't be able to help but notice how much it adds up to over time, making it that much easier to cut back on your lattes. Or at least find cheaper ones. If you’ve ever had a credit card machine crash out on you in mid payment, you might have paid for that item twice. There’s not always a way for the cashier you’re dealing with to check, leaving a review of your statement the only possible way you can catch it. Recently, I read a comment on social media about a man who realized his grandfather had been paying $20 a month for 20 years to AOL because he’d forgotten to cancel his dial-up internet access when broadband became the norm. How did he finally catch it? By looking at his grandfather’s credit card statements. Maybe you’ve recently moved or perhaps you have a new phone number, but whatever the case, contact and personal information changes and we have to update our banking and credit card accounts to reflect that. You don’t want to wait until you call in and can’t get past the security questions because you’re giving the wrong address. Viewing your online statements and seeing outdated information will remind you to change it. There are so many reasons to check your credit card bills, and even more to check all your financial statements and credit reports, but the most important reason remains that you cannot fix what you’re not fully aware of. So, put your stress aside, put on your adulting hat and get to reading those bills! It's not uncommon for credit cardholders to be stumped when it comes to some charges on their monthly statement. Not all merchants are recognizable on your statement - they could be using their parent company name, or they could have their name abbreviated. If you have mystery charges on your credit card statement, how do you ensure they aren't fraudulent? How can you find out where they came from? Here are three easy ways to tell. - Search Google for the merchant listed on your credit card statement. More often than not, you'll get a hit and find out pretty quickly who the merchant is and where the charge went. 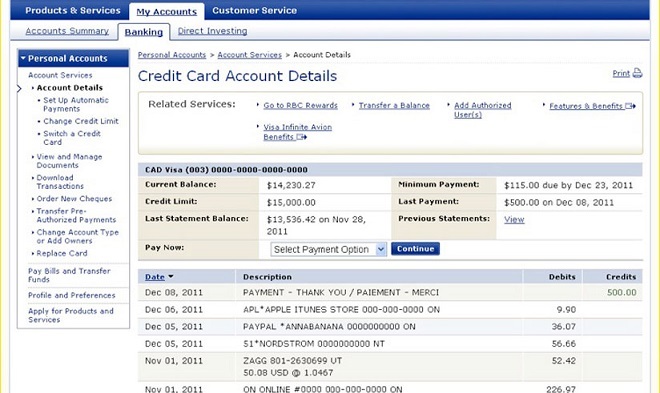 - This is another reason why it's a good idea to hold on to your receipts. You can flip through and find the one that has the same amount on roughly the same day. If you find a match, the odds are pretty good that it's the receipt for the charge in question. - Sometimes, the credit card company will have some knowledge as to where a charge came from. If you're stumped with a particular charge on your credit statement, try giving your credit card issuer a call. They might be able to get to the bottom of it for you. Once you find out who the merchant was that charged your card, you might want to consider using an app that tracks purchases - Mint.com is a very popular app of this type. You can connect your accounts and Mint will track your purchases and help you keep track of where your money goes. That way, next time you find a mystery charge on your credit card, you might have an easier time finding out what it is. Need help getting your credit back on track? Learn how Refresh can help rebuild your credit score with no credit checks and no money upfront!